Classic tin sign featuring Googie architecture. “Googie” is a style of architecture that was popular throughout the 1950s and into the early 1960s. Other names for “Googie” design include: Populuxe, Doo-Wop, Coffee Shop Modern, and Space Age. Characteristics of Googie include atomic and space age shapes as well as glass used as design, not just to serve a function. Googie design was influenced by America’s new car culture. By the 1950s every family had at least one car. 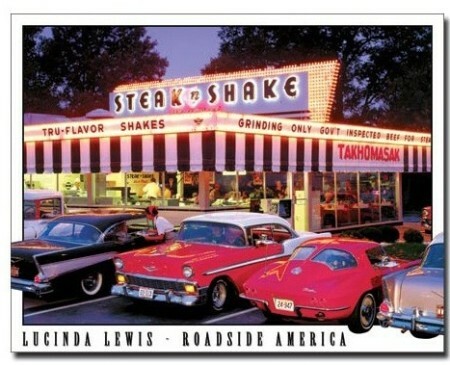 Fast food drive-ins were popping up on roadsides everywhere. Dynamic architecture was used to attract customers whizzing by on roads and highways—to catch their eye and encourage them to stop. New technologies and concepts introduced with the dawning of the space and atomic ages resulted in a fascination with rockets, power and movement. Googie expressed an optimistic vision of the future. All these influences, along with a sense of humor, fun and whimsy combined to bring about the creation of Googie design elements. 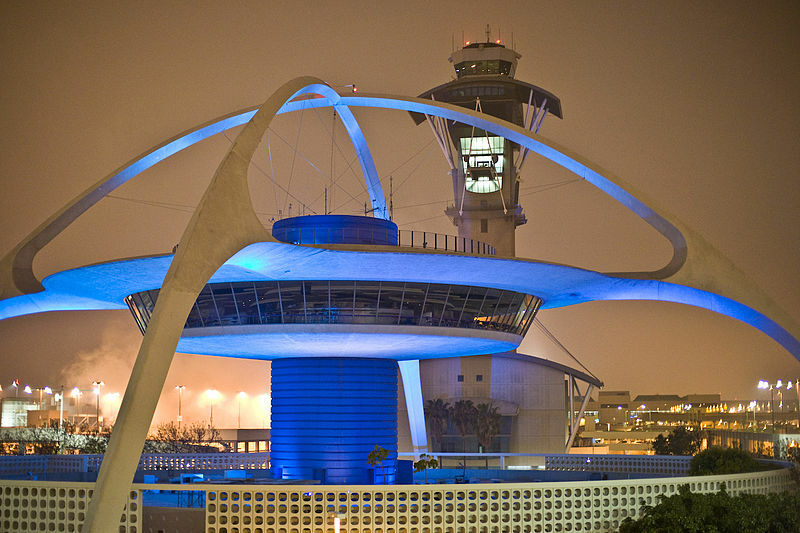 The origins of Googie design have been traced back to coffee shops designed by John Lautner. He designed three Coffee Dan’s shops in the early 1940s in southern California. Using his innovative style, he created the futuristic, space age look he has become so famous for. In 1949 Lautner applied the same design principles to a coffee shop called “Googies” and the name caught on as a means of describing the style of architecture. Hugely popular with the general public, Googie architecture was not popular with architectural critics. It’s possible they missed the point of Googie architecture. The Googie style was directed at the masses for commercial purposes. It was an expression of the future—with a mix of good humor and fun. The famous Las Vegas sign represents Googie architecture. Shapes were organic but at the same time, geometric. The major emphasis was placed on looking futuristic. Advances in technologies offered dynamic new materials that could be used in Googie architecture, making the look possible. These materials included glass blocks, large sheets of glass, asbestos, plywood and plastic. Steel was used as a design element in addition to being used for support. Elements were added purely for design, not necessarily for function. Steel also allowed designs to seemingly defy gravity in anything but typical building designs. Location was no longer a limitation. Homes could now be built to cling to the side of a hill. Googie may have appeared first in commercial buildings, but was also used in private home architecture. The Googie style was used primarily when designing restaurants, coffee shops, motels, gas stations and bowling alleys, as well as schools, churches, shopping centers and airline terminals. The Space Needle in Seattle, Washington (built for the 1962 Seattle World Fair) is a great example of Googie design. It looks like someone positioned a flying saucer on top of a tower and it could take off into outerspace at any minute. Signs were also designed using the Googie style. 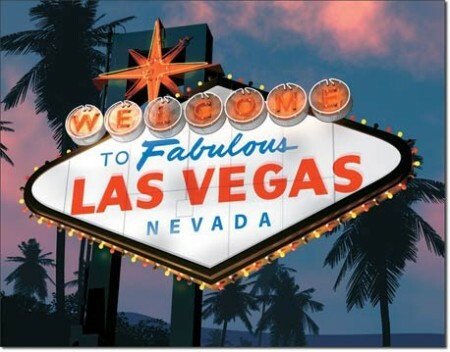 The “Welcome to Las Vegas” sign is one of the most famous examples and was executed in glorious Googie style. Arrows, boomerangs and starbursts were typical elements in Googie signs. Geometric shapes, block type paired with script and multicolored letters were common. And of course, there was a lot of neon used in bright, eye-catching colors. Thank-you to Chris Jepsen at Googie Architecture Online for his dedication to the preservation and appreciation of Googie architecture. His site was very helpful to me in the writing of this blog.